I tested my probs on my old maverick thermometer the other night and they’re way off. think with the grill being on WiFi (it only has one meat prob) I’m gonna get a WiFi temp monitor too, always nice to have more temp data to compare to. @Toolndie7 also teased me with his set up on his green egg the other day so I gotta keep up with the Jones. Interesting, once you overcook the meat it's ruined. I have used a digital thermometer for years. Wasn't a crazy price, let me know how it goes. My 29$ thermometer when thru probs like rolls of toilet paper, cuz they were JUNK. I grew up with the saying, "whatever TRIPS your trigger." maybe that's what our Wisconsinites say. how you saying it shepp? But yeah, I think $200 is pretty crazy... if I had that much I could finish a build. lol. I got given a folding digital probe that is accurate + or - 5 degrees as far as I can tell. Five years old, going strong. 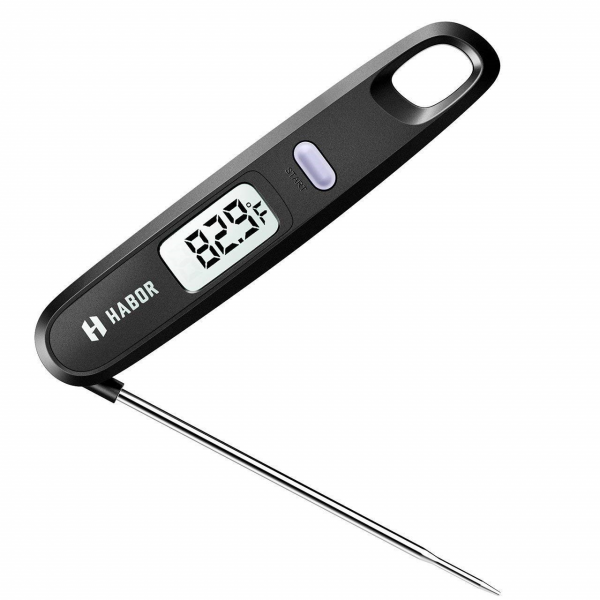 That is the thermometer of choice for rump roasts.?
. ?‍♂️Not your money ? I think I ordered it based on your posting about tour's. Do you know what the difference is between an ORAL thermometer and a RECTAL thermometer? on a scale of white meet or red. ?